ORO-MEDONTE TWP, ONT. - Settlers’ Ghost Golf Course near Barrie could possibly be the first course in Canada to put four-legged grounds keepers on staff. 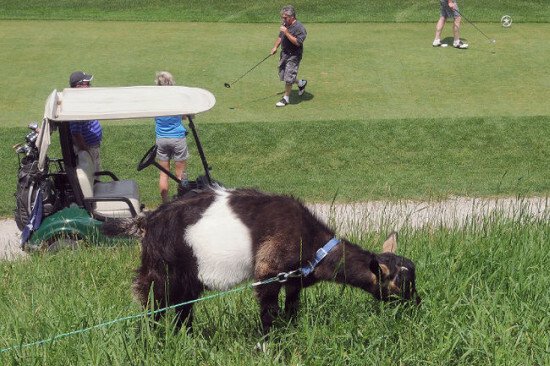 A pair of six-month-old goats named Whipper and Snipper are causing quite a stir among the golfers. “When we had a Mother’s Day brunch here, people were bringing their children and spent hours just patting the two little animals,” general manager Lana Stoddart said. The goats aren't being kept for their looks, though -- these two are expected to produce. On a hill beside the start of the first hole, the pair start munching their way through the weeds that crowd the cart path. 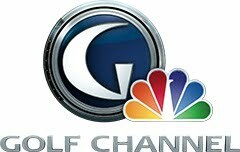 On the less frivolous side, this is an attempt to reduce the pesticide and herbicide load that almost all golf courses experience. “We’re fortunate enough to be surrounded by wildlife, which we take very seriously, and I am always researching ways that we can become more environmentally friendly. Through looking for solutions, I found a number of countries which have been using goats,” Gulliver said. So Gulliver took his idea to the board. He admits that there was a bit of giggling, but then they did a little research on their own and suddenly the workforce at the course increased by two.